"The UK's largest event focused on pension fund investment"
"The UK's largest event focused on pension fund investment "
The PLSA Investment Conference is the UK's largest conference focused on pension fund investment and is attended by 950 pension professionals; including pension managers, trustees, HR and finance professionals and their advisers. The programme focusses on the major trends and events affecting UK investors and markets, and consists of plenary and specialist stream sessions focusing on Defined Benefit, Defined Contribution, Investment & Governance as well as a new stream on Asset Allocation. 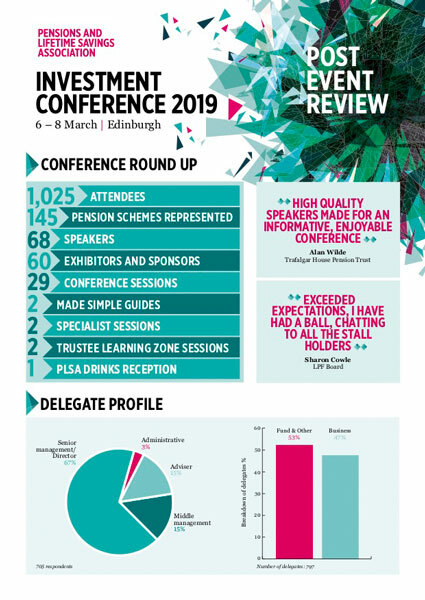 We also have a Trustee Learning Zone, fringe meetings, an exclusive exhibition and various networking events, including the PLSA drinks reception. 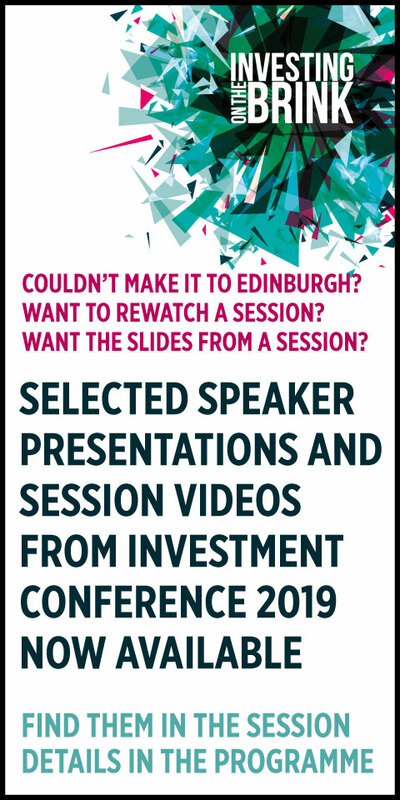 Booking for Investment Conference 2020 will open in Autumn 2019, with the event taking place in Edinburgh on 11-13 March 2020.
nikolina.hudi@plsa.co.uk or 0207 601 1710. Look back at key stats and delegate feedback from 2019 Investment Conference.